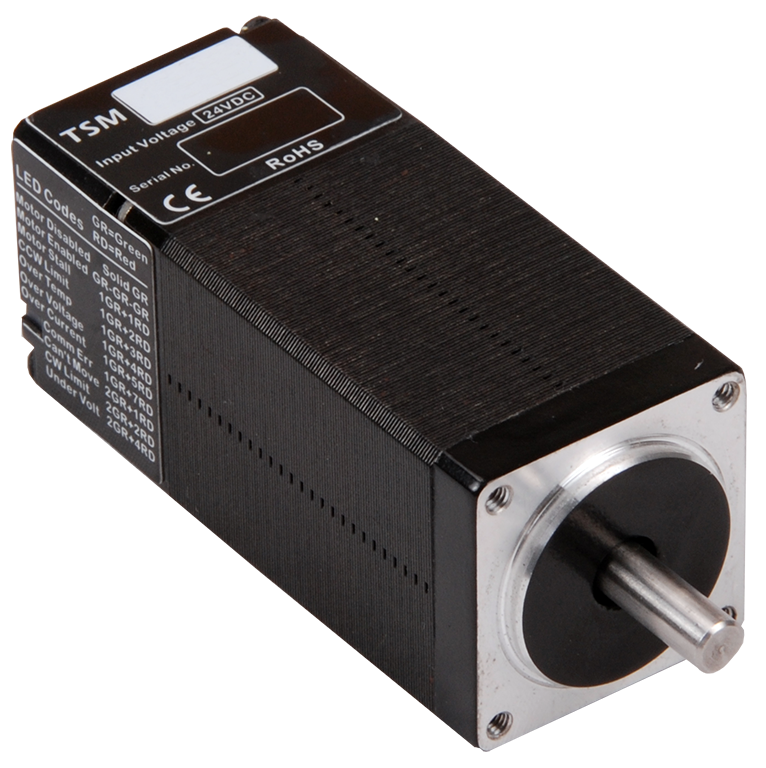 The TSM11Q-3RM StepSERVO™ integrated motor is a drive+motor unit, fusing NEMA 11 step motor and servo drive into a single device. Power to the drive, located at the rear of the motor, must be supplied by an external DC power supply. See the Recommended Products below for a compatible 24 volt supply. 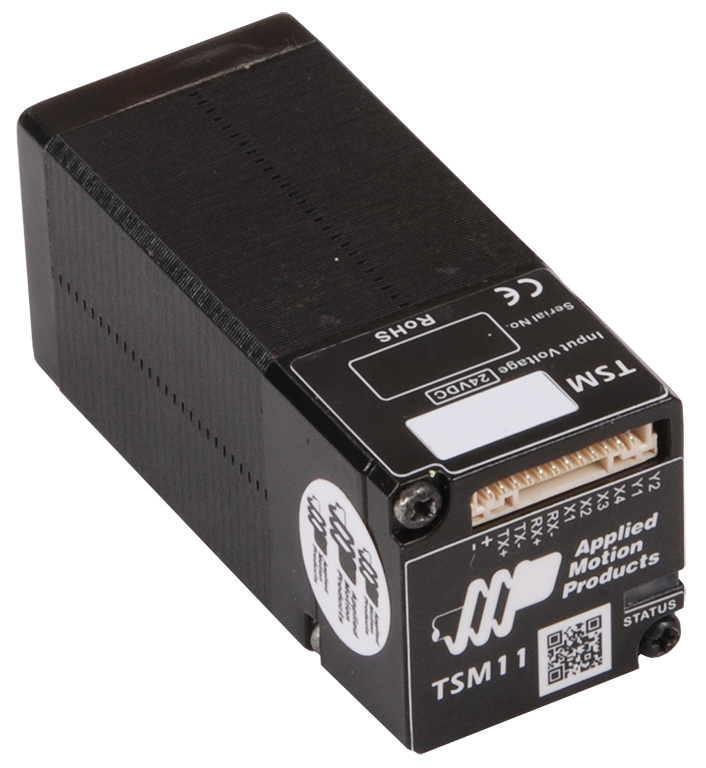 The TSM11Q-3RM can be operated in several different control modes, including Streaming Commands using SCL or Modbus RTU, Pulse & Direction, and Velocity modes; plus it has the ability to run a Q program stored in non-volatile memory. Q programs are created using Applied Motion's Q Programmer™ software, which provides powerful commands for motion, I/O, conditional processing, multi-tasking, math functions, and more. All TSM11 integrated motors are configured and tuned using Applied Motion’s Step-Servo Quick Tuner software with built in Q Programmer. The TSM11Q-3RM comes with an RS-485 port for programming and serial communications to allow for the use of either Modbus RTU or Applied Motion's Streaming Command Language (SCL). An integral 4,096 count/rev (magnetic) incremental encoder is housed inside the same enclosure as the drive electronics and used for closed-loop servo control to attain highly accurate position and velocity control. Encoder counts can be accessed over the network or from within the Q program using SCL registers. 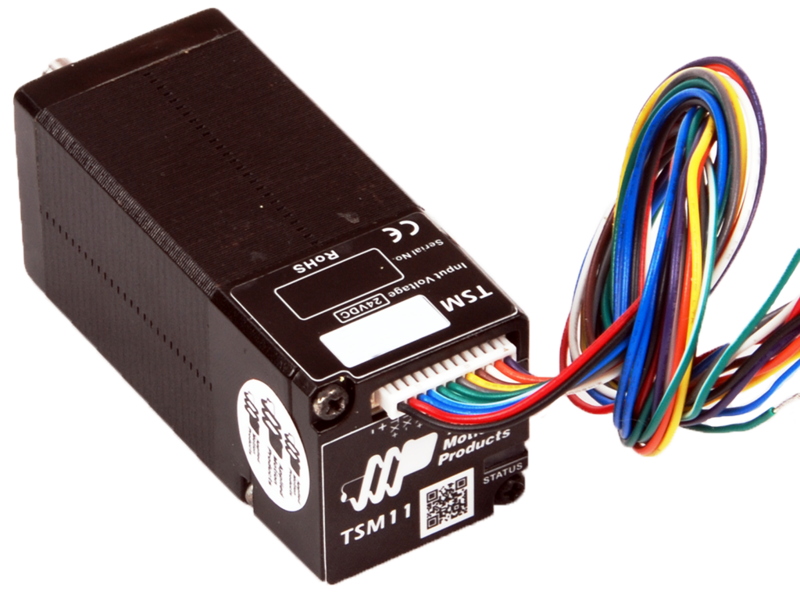 The standard TSM11Q-3RM integrated motor has a single connector at the back of the motor for power, I/O, and RS-485/Modbus communications. A version of this motor with three separate connectors - one connector for power and I/O, one for RS-485 IN, and one for RS-485 OUT - is also available. The three connector arrangement facilitates easier connections for daisy-chained RS-485 and Modbus RTU networks. 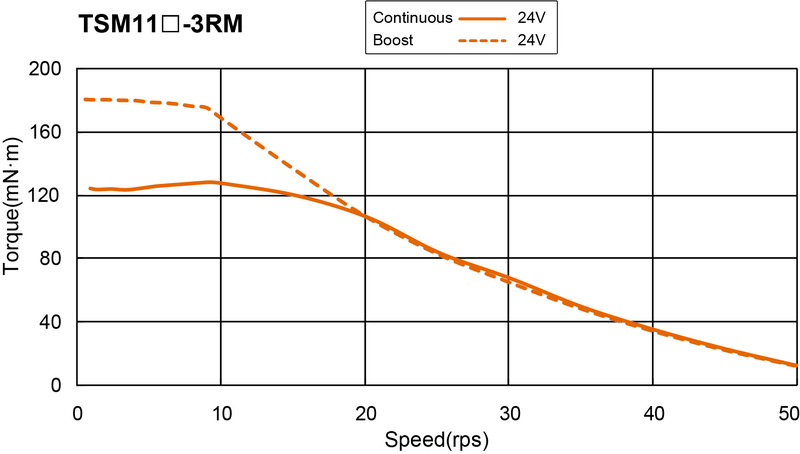 See the TSM11Q-3RM-H01 for details. Also, a standard TSM11Q-3RM can be converted in the field from one connector to three by installing the 8500-005 daisy-chain connection board kit (see Recommended Products below). This kit comes pre-assembled to the motor when the "-H01" version is ordered.